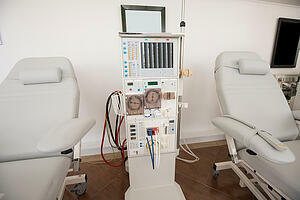 Did you know Medicare reimbursement for dialysis treatments has increased? This past November, the Centers for Medicare and Medicaid (CMS) released its final rule for dialysis clinics, and the new stipulations, including the composite rate increase, went into effect Jan. 1. As a dialysis clinic professional, you’ll be responsible for managing these changes and updates in the year ahead. To help you navigate the CMS final payment rule for 2019, here’s a breakdown of the three most significant changes. Due to a change in payment for dialysis services, End Stage Renal Disease (ESRD) service providers will now receive $235.27 per treatment, a 1.6 percent increase from the previous per-treatment amount of $232.37. This payment will be the same for patients with acute kidney injury treated in outpatient dialysis clinics. This increase comes courtesy of the required productivity-adjusted market basket increase, as well as the wage index budget-neutrality adjustment factor. CMS estimates it will pay $210 million more to dialysis facilities for these ESRD services in 2019 than in 2018. Additionally, the ESRD Prospective Payment System (PPS) will provide a training add-on adjustment for home dialysis modalities, as well as additional payment for cost outliers in unusual care circumstances. In 2017, after facing an increasing number of complaints from healthcare providers who felt their administrative burdens impacted the quality of care they provided patients, the CMS introduced the Patients Over Paperwork initiative. This effort seeks to improve patient experience by reducing the amount of paperwork healthcare providers are required to submit. The final rule helps advance this initiative by reducing ESRD documentation burdens for comorbidity payment adjustments. Now, the documentation requirements for ESRD facilities more closely resemble those of other payment systems. Additionally, the CMS reduced ESRD Quality Incentive Program (QIP) reporting burdens by aligning QIP measures with the CMS Meaningful Measures initiative. CMS developed the Transitional Drug Add-On Payment Adjustment (TDAPA) to create a payment method for qualifying injectables for IV drugs that fall outside the categories of conditions set by the CMS for inclusion in the payment bundle. This expansion will help ESRD facilities incorporate these drugs more easily which, in turn, helps drive competition among ESRD drugs and fosters innovation. According to CMS, any “injectable, intravenous, oral or other form or route of administration drug or biological product that is used to treat or manage a condition(s) associated with ESRD” is eligible for TDAPA. As a dialysis clinic professional, managing ongoing changes to ESRD care and Medicare reimbursement models can be challenging. By staying up to date on the latest stipulations, you can be better prepared.